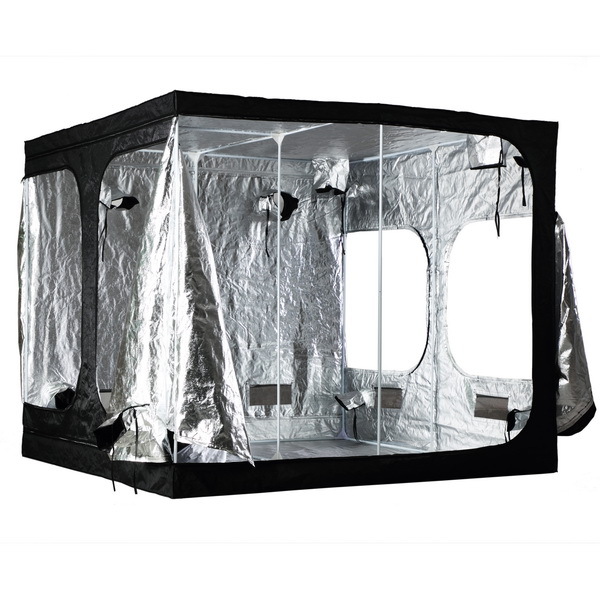 A grow tent serves not only as a freen thumb that would let your greens look beautiful and healthy, it also helo you become the master of your greens by controlling every aspect of plant growth right from the necessary light. to the temperature, to humidity and even place! Grow tents are designed for extra light tightness with double-sided flaps over light tight zippers. The exterior is made of waterproof commercial grade heavy duty material. 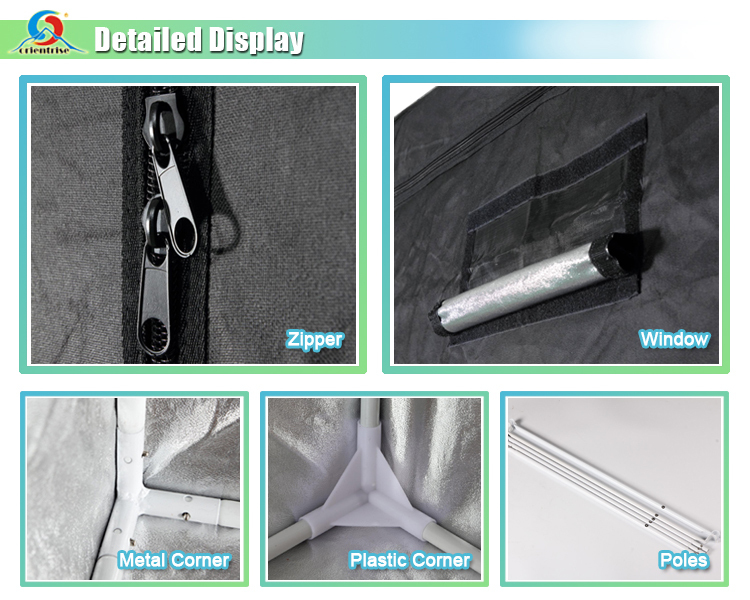 The inner linning is made of highly non-toxic reflective silver water proof Mylar. And buit with galvanized metal poles and plastic & metal corners, all the joints double lock for a heavy-duty structure. If you are a greenery lover but do not have the luxury of enough space for a garden, the grow tent is the best and economical choice for you! It allows you grow your beautiful indoor hydroponics plants much easier. Planting is no longer limited by seasons, so you can grow plant, fruit and vegetable whenever you like. 14) Heavy duty zippers and zip head. Sample by Express Courior: DHL, Fedex, UPS, TNT, EMS etc. Q1. Is sample available for dark room grow tent ? Yes, we can supply samples for your reference. Q2. Can I use my own logo on the dark room grow tent ? Yes, customers’ logo, size and design is acceptable, OEM & ODM welcomed. Q3. What can I do for you? Q4. What is the delivery date if I place the order? 3 to 4 weeks after well received the deposit. Q5. What type of payment terms accepted for dark room grow tent ? Bank Transfer only for bulk order, 30% initial deposit and 70% balance before shipping. Q6. How to deal with if customers quality complaints? Forth, improved workmanship or remind customer to avoid the problem. The supplier is ranked number 14 by reviews data in Garden Supplies. The supplier has delivered 61.5%% of their orders on-time in the last 180 days.